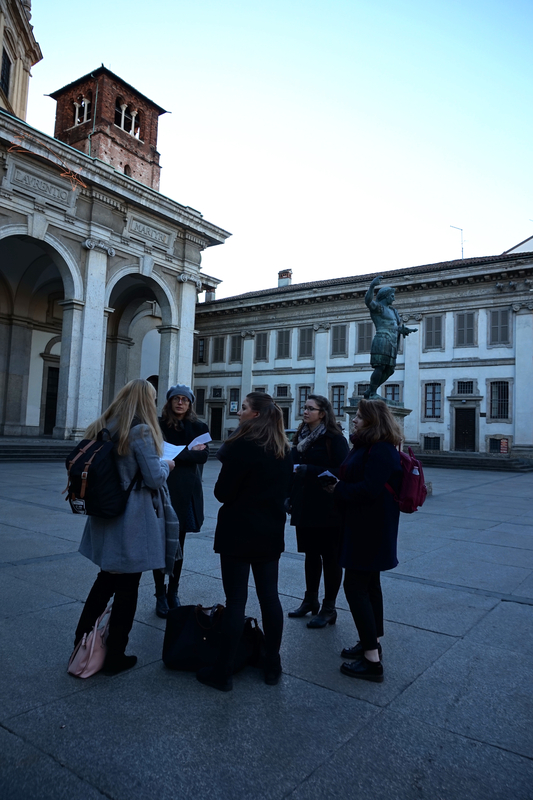 In January 2019, the SACRIMA team and students from the fall seminar travelled to a special exhibition at the Castello Sforzesco in Milan. The new year began with an excursion to the exhibition Vesperbild. Alle origini delle Pietà di Michelangelo with a tour from one of its curators, Dr. Antonio Mazzotta. 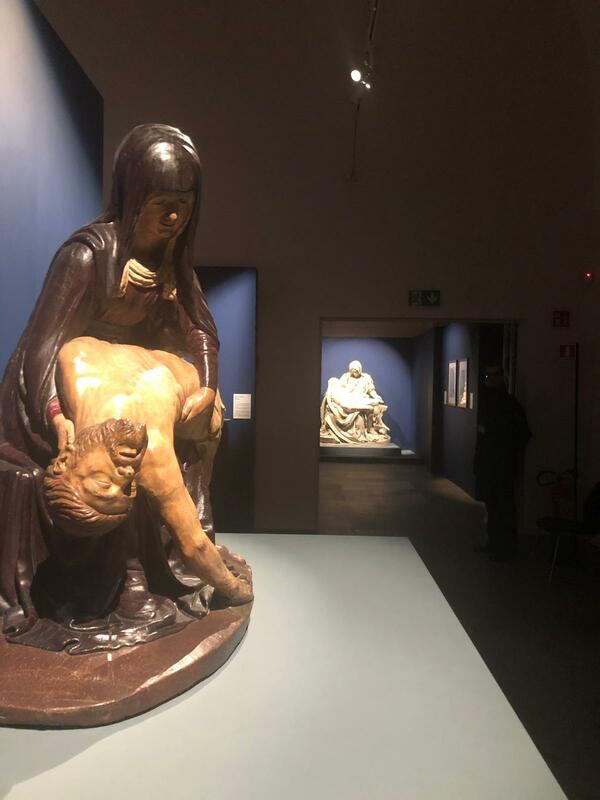 Themes of the exhibition mirror many of the research objectives inherent to the SACRIMA project, as well as the fall 2018 seminar. 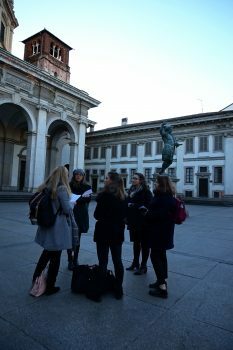 In addition to the exhibition, the group also visited the churches of San Lorenzo and Santa Maria presso San Celso, as well as the art collections at the Biblioteca Ambrosiana and the Pinacoteca di Brera.